Other than my super wonderful impromptu date with S, and the less-than-terrible weekend, last week was a horrible week for me. Lots of crappy things happened. Mostly at work. It started off really bad on Monday, and ended with a bang on Friday. It was less than awesome. Monday was probably the worst day, not that any of the days were good. Luckily, work was not the only thing on the docket for Monday. 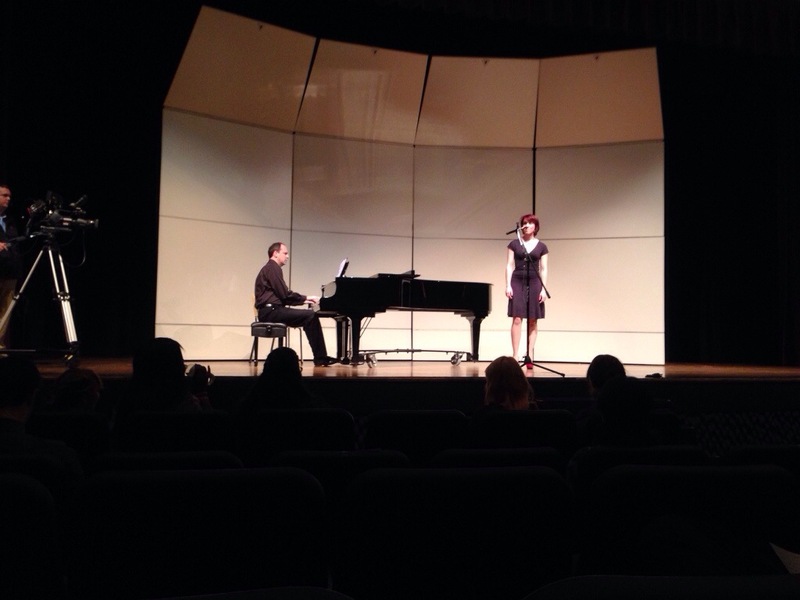 Monday evening, S, T, their dad, a friend of ours, and I went to see S’s sister, A, at her voice recital. After the event, we all went to Steak ‘N Shake. Sometimes, after a bad day, you just need to be around people you love. People who care about you, and whom you care about. People you have a relationship with that means something. My parents and siblings and grandparents are in Texas. I cant’ exactly go have coffee with them after a bad day. While I haven’t known them nearly as long, S’s family has become my family. After my yucky Monday, spending time with them was the perfect pick-me-up. There’s nothing like investing in relationships to help remind us of what’s truly important. Work isn’t my life. It’s just a place I happen to spend a lot of time at in exchange for money. I don’t live in Tennessee to answer the phones for a flower shop. I live here for S and his family. It was good to remember that.